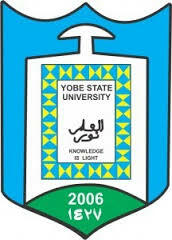 The Consultancy services unit of Yobe State University, Damaturu has commenced the sales of scratch cards for admission into the Diploma Programme for the 2017/2018 academic session. STEP 1: Make a non-refundable payment of N5, 100 into Account name/Number: YSU CONSULTS STUDENT REGISTRATION/00226614491 GT Bank Plc Damaturu Branch and obtain a scratch card for the application. Sales of scratch cards starting from 30th November. STEP 2: Visit the university website to apply online.